Did you know London has a lighthouse? And it’s in an art quarter in east London that has an American diner and a museum to a famous scientist? 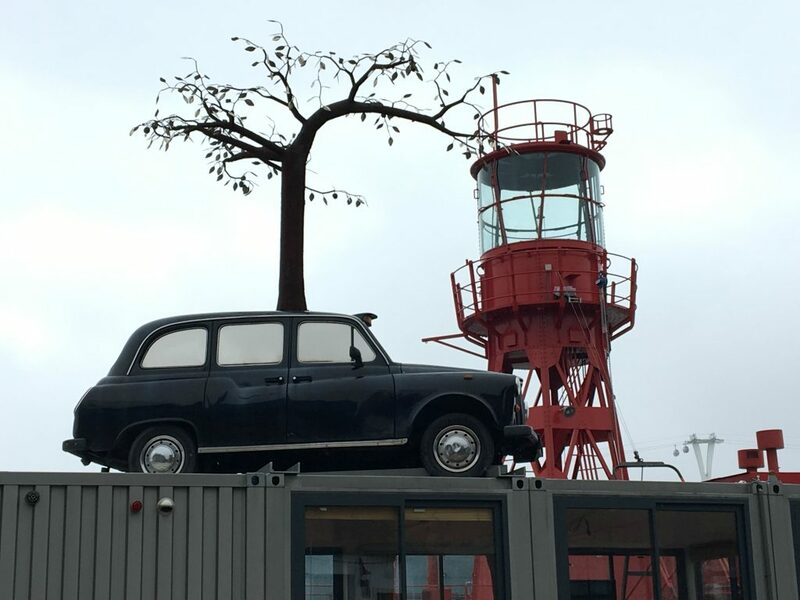 And I haven’t yet mentioned the London black cab with a tree sculpture growing out of it. 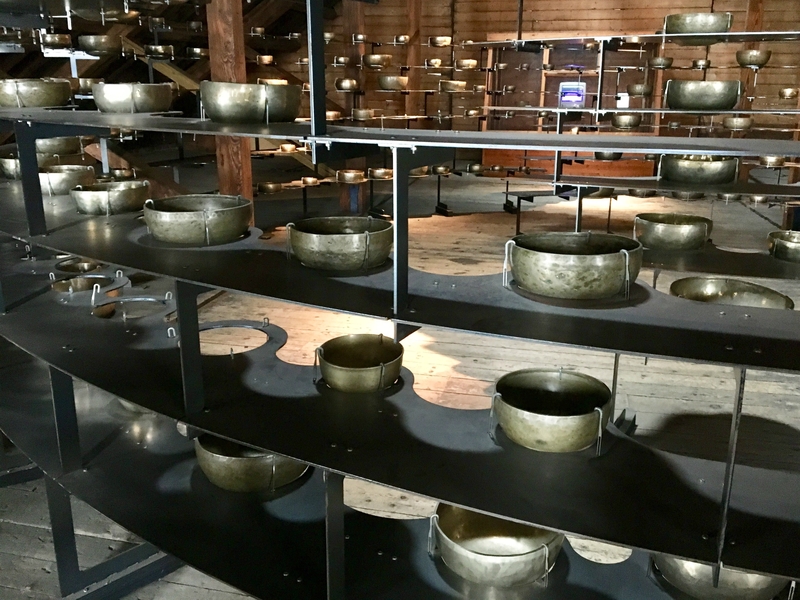 Trinity Buoy Wharf is definitely worth a visit. A remote riverside hamlet in the eighteenth century, a busy industrial site in the nineteenth, the area then declined during the first half of the twentieth century. The government set up the London Docklands Development Corporation in 1981 to regenerate the whole of the docklands area. And an LDDC competition in 1996 was won by Urban Space Management to form a creative enterprise at Trinity Buoy Wharf. 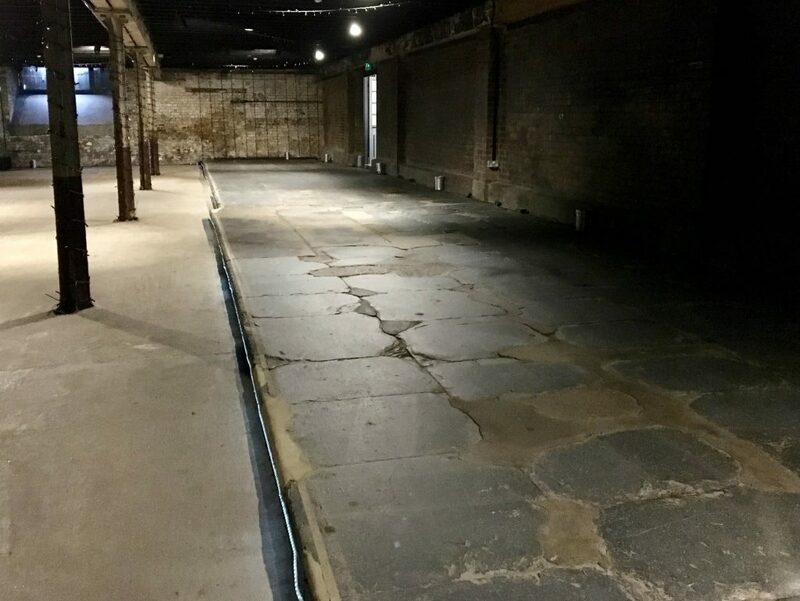 USM started in 1988 when Trinity Buoy Wharf was an empty, isolated and derelict site. 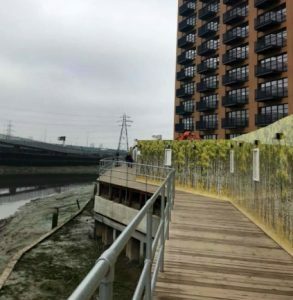 But their track record of other regeneration projects includes Camden Lock and Gabriel’s Wharf on the South Bank. They created an artist community with a mix of workshops, studios, offices, live-work accommodation, exhibition and performance space and cafes. 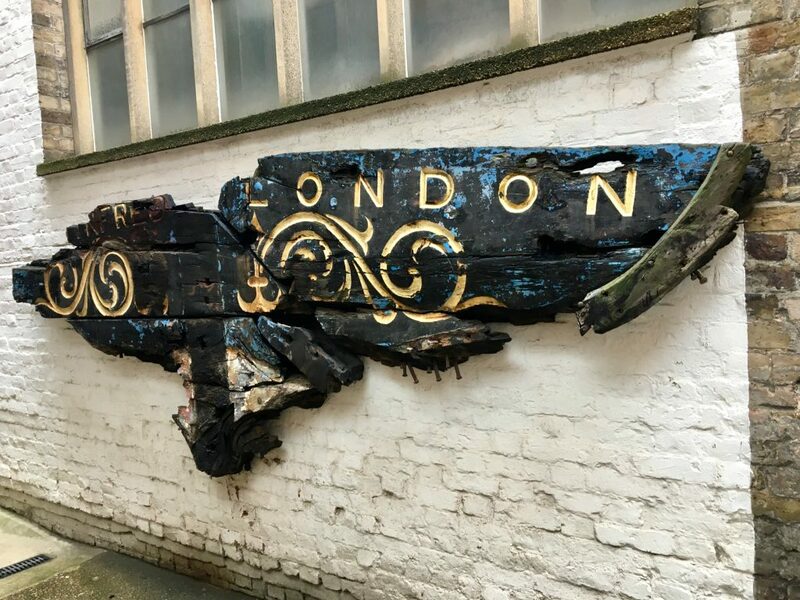 The Trinity Buoy Wharf Trust was set up to hold the land and the vision in trust for the people of London. 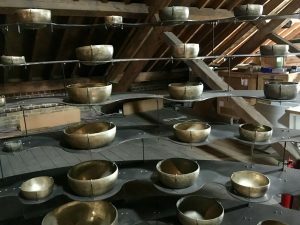 It holds a 125 year lease and USM, in turn, hold a 124 year lease from the Trust. Trinity Buoy Wharf is a unique riverside site. It stands at the point where the River Lea joins the Thames, now called Leamouth but formerly known as Bow Creek. 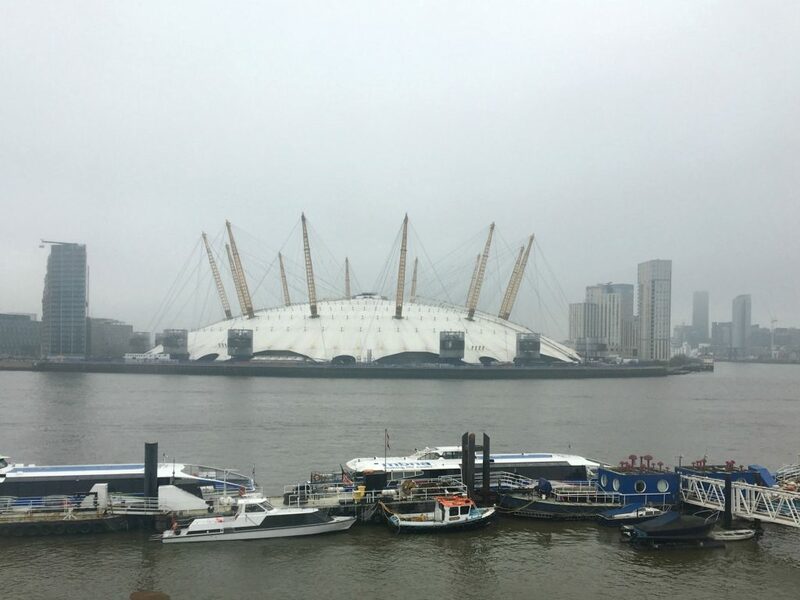 It has a superb riverside aspect, immediately opposite The O2. There’s a designated boat service called The Predator which runs from The O2 pier to Trinity Buoy Wharf, Monday to Friday. 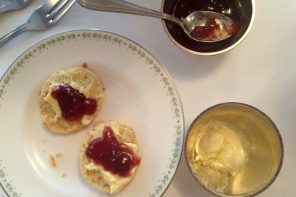 The service costs £2 each way. A new pier was added here in 2002 to celebrate the Queen’s Golden Jubilee. 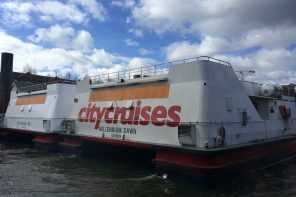 It was expanded in 2007 to become one of the largest in London to accommodate the Thames Clipper fleet as they are a major tenant at Trinity Buoy Wharf. 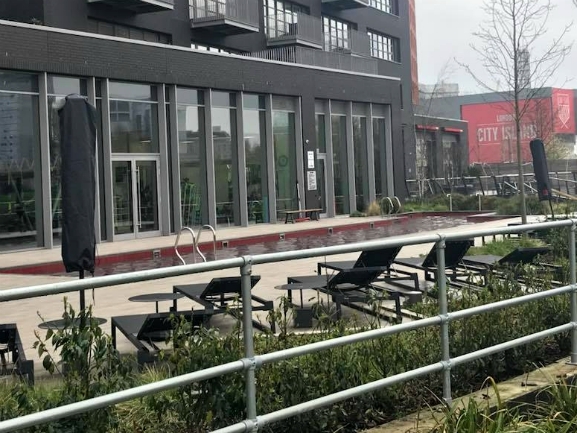 The Wharf’s perceived inaccessibility has restricted its potential as a prime performance venue but has allowed for an art quarter to grow and evolve. 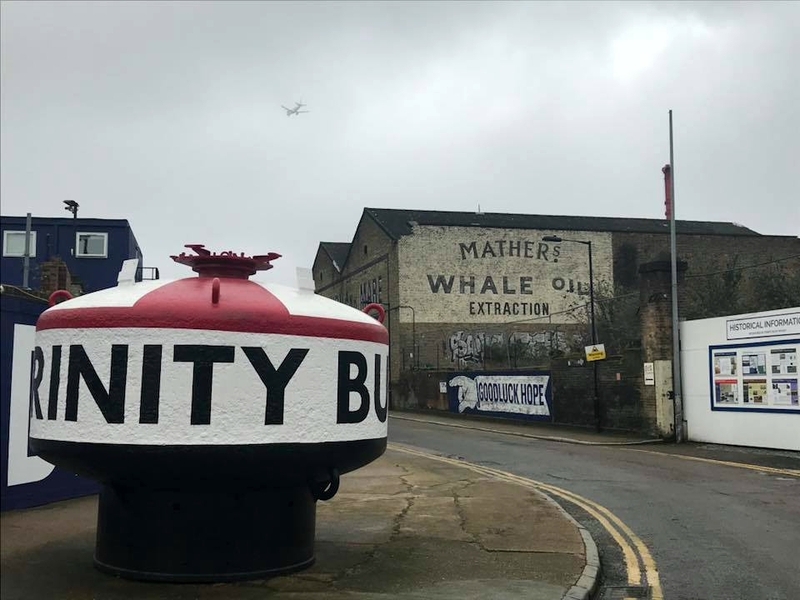 I’ll admit, I thought Trinity Buoy Wharf would be hard to get to which I why I knew about it but didn’t visit for years. 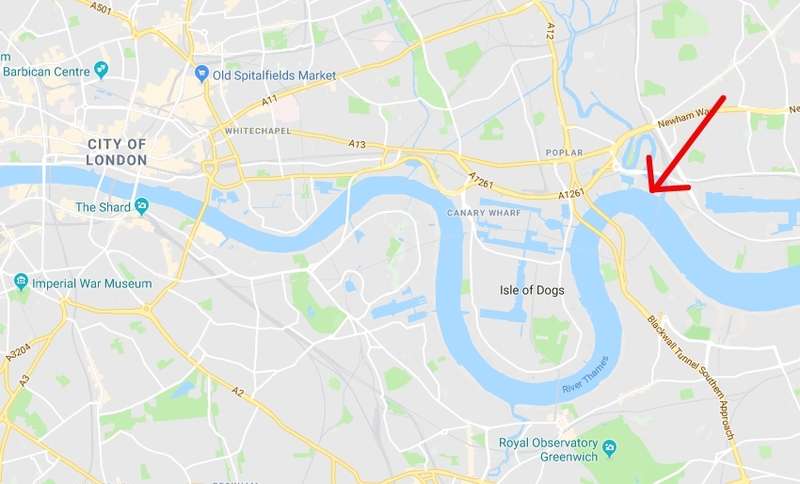 But it’s actually only on the border of zones 2 and 3 on the Transport for London map. 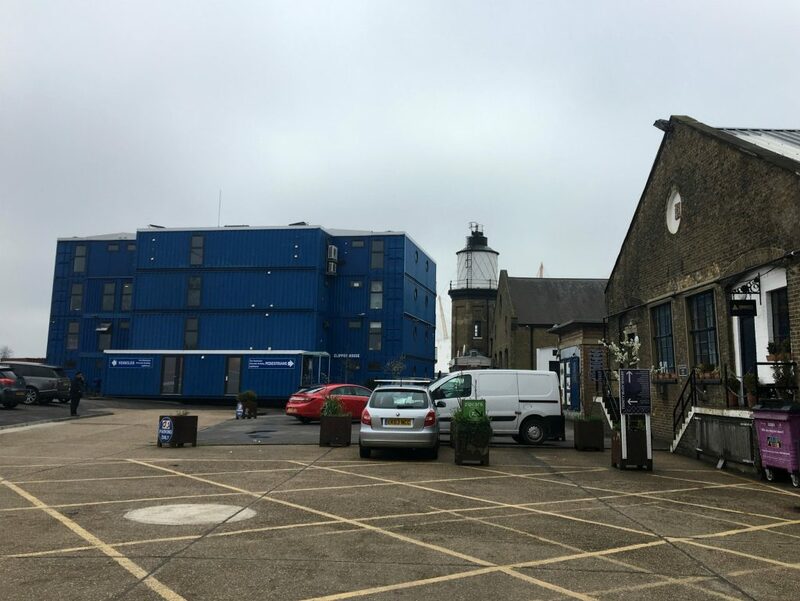 At the very tip of the Bow Creek peninsula, Trinity Buoy Wharf is one of the Docklands’ most historic sites. Trinity House, based near the Tower of London since 1796, was responsible for the beacons, marks and buoys around England’s coast. 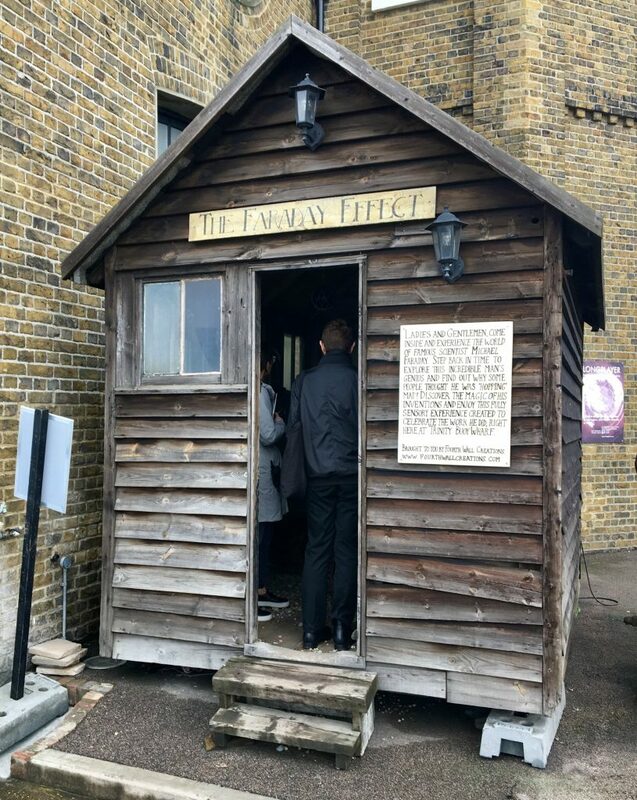 The Corporation of Trinity House established its workshop at Trinity Buoy Wharf in 1803 to make, store and service them all. Plus there was the berth for the Trinity House yacht which collected them for maintenance and supplied lightships and lighthouses. The Trinity House workshop remained for 185 years and closed in 1988. They left behind a fine group of historic buildings ranging from 1822 to the 1950s. The Electrician’s Shop was built in 1836 by the then Chief Engineer of Trinity House, James Walker, originally to store oil. 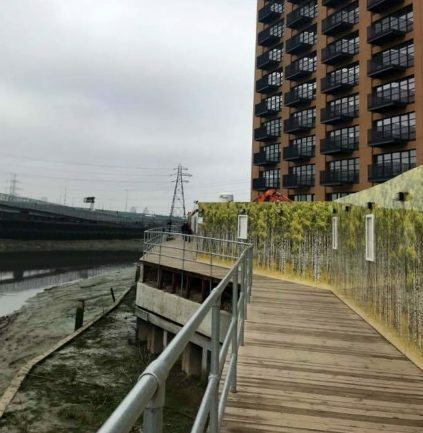 The earliest part of the Wharf is the original embankment along the Lea, dating from 1822. 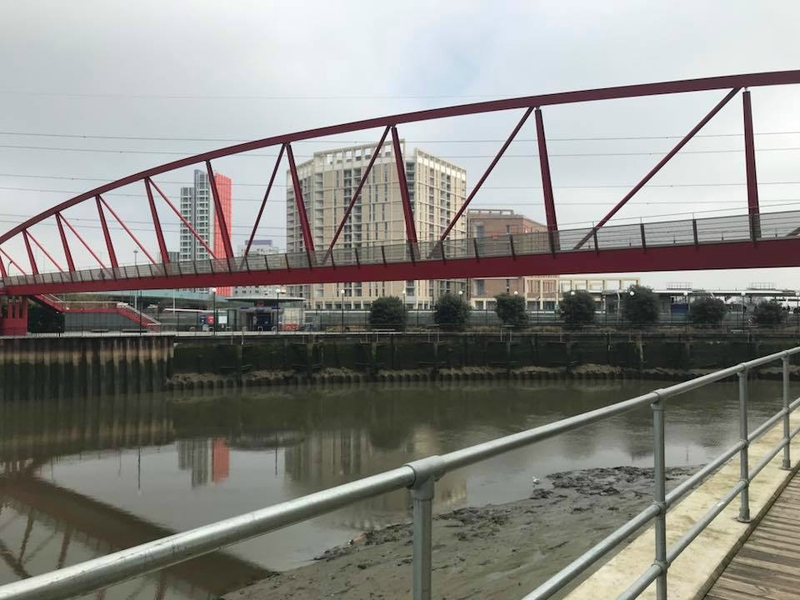 Walker rebuilt the remainder of the Thames-side wall in 1850, including the Watermen’s Steps leading down to a 40-foot brick causeway which can be seen at low tide. He also built the first two lighthouses here in 1854. When he died in 1862 he was succeeded by James Douglass who designed the lighthouse that still stands today as London’s only remaining lighthouse. The iconic Experimental Lighthouse was built by Douglass in 1864 and was in constant use to test maritime lighting equipment and train lighthouse keepers. 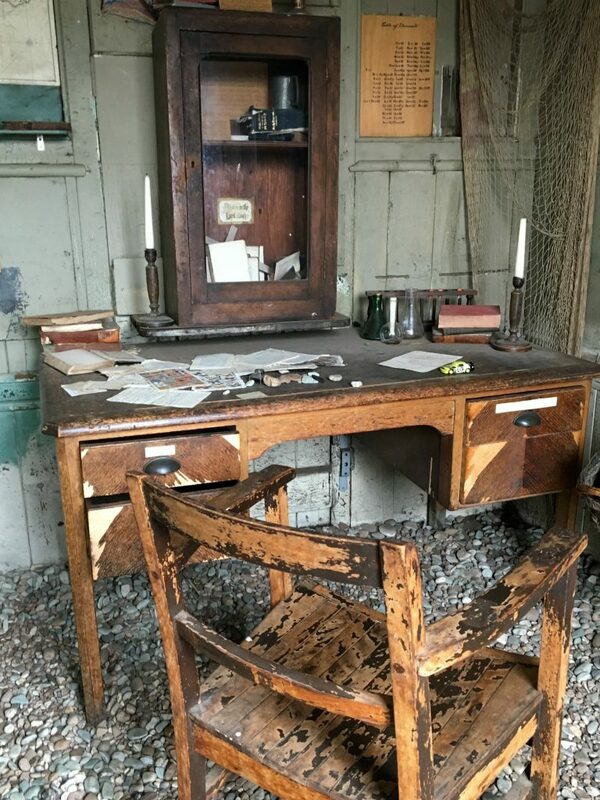 The roof space adjoining the present lighthouse (there was another but it was demolished in the 1920s) housed scientist Michael Faraday’s workshop for examining lenses and other apparatus. It’s neighbour, the Chain and Buoy Store, was also built by Douglass in 1864. It has been restored and is the largest surviving Victorian structure here and is used as a performance space. The Proving House behind Container City was built in 1870 and resembles a stable block for a stately home. It’s 120-foot length was necessary for the testing of chains and cables. Further historic buildings here include The Oil and Gas Works that was built in 1908, the Main Stores and Gatehouse in 1951 and the Boiler Makers House and The Fitting Shop in the early 1950s. 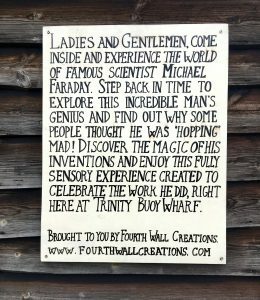 The Victorian chemist and physicist Michael Faraday was scientific advisor to the Corporation of Trinity House. He was known for his pioneering experiments in electricity and magnetism, many of which were carried out at the lighthouse at Trinity Buoy Wharf. Don’t picture the areas as some romantic Victorian hamlet, as Faraday described the state of the river in 1855 as “a fermenting sewer”. The smell must have been shocking. He conducted optical experiments from the Experimental Lighthouse then observed and measured them from the distant Shooters Hill on the opposite bank. (At 432 feet, the summit of Shooters Hill is one of the highest points in Greater London.). During the 1840s he also made a vital contribution to the ventilation of lighthouses. Condensation affected not only the efficiency of marine beacons but also the atmosphere creating a health hazard for the lighthouse crew. His chimney was patented and made by his brother, Robert Faraday, and was successfully installed in many lighthouses as well as The Athenaeum and Buckingham Palace too. 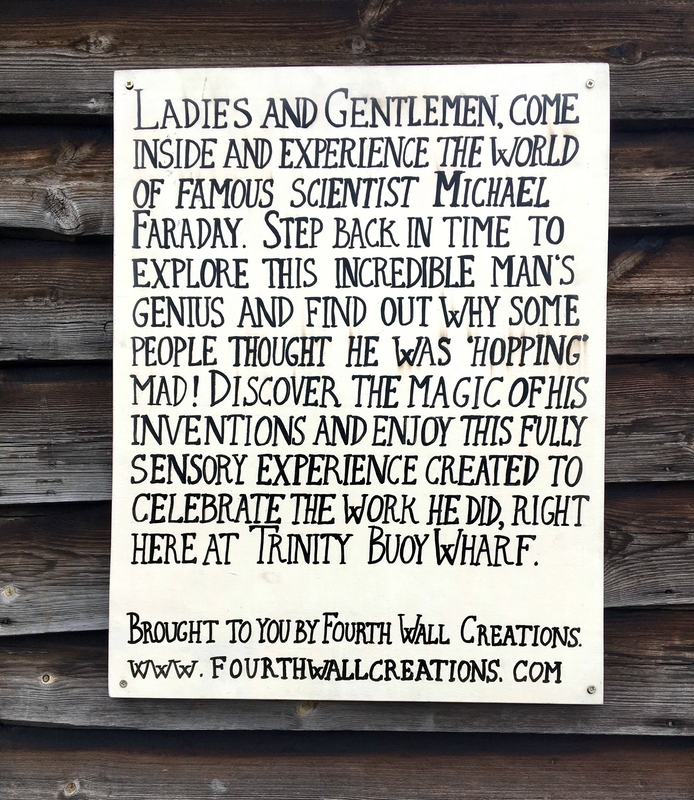 Faraday is commemorated on the site by The Faraday Effect – a site-specific artistic interpretation by Fourth Wall Creations, housed in an original wooden dockland hut. Early in the regeneration, USM devised Container City – an innovative modular building system using recycled shipping containers to create affordable accommodation for a range of uses. Building costs and times are both dramatically reduced. 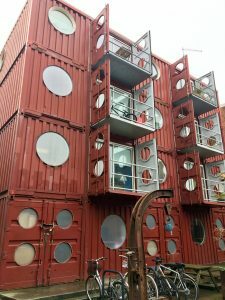 It’s a pleasing irony that containers, traffic which ultimately killed London docks, should be so positively assisting their regeneration. The prototypes, “Container City 1” and “Container City 2” were built here in 2000 and 2002. Each 40 x 8 foot container weighs only four tonnes but is able to take up to ten times that in loading, and remains rigid when stacked. The walls are only 2mm thick but because they are corrugated they are immensely strong. 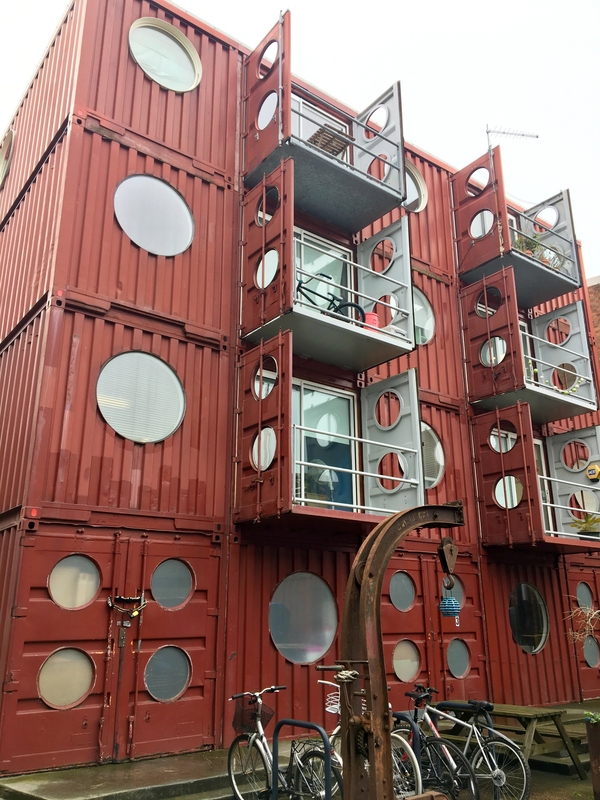 Even the stair and lift towers are created from 40-foot containers standing on an end, and balconies are formed in open-end doors. The Riverside Building, which provides 22 separate units on five floors, was completed in 2005. The basic structure was ready in just fifteen days! 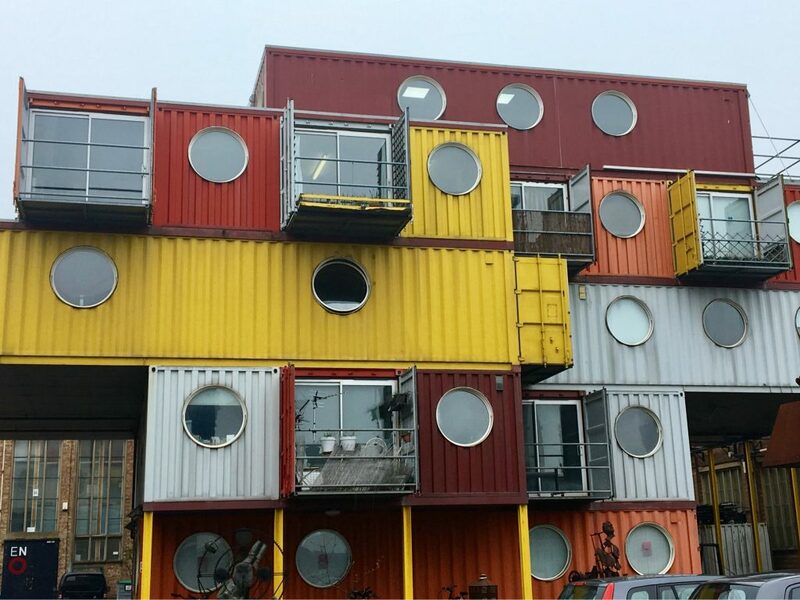 Some may recognise the latest container building that was used by the BBC for broadcasting from the Queen Elizabeth Olympic Park during the London 2012 Olympics. 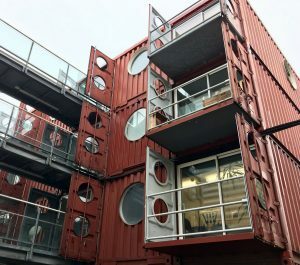 The whole project is a visionary recycling scheme and there is so much recycling and re-use at Trinity Buoy Wharf. 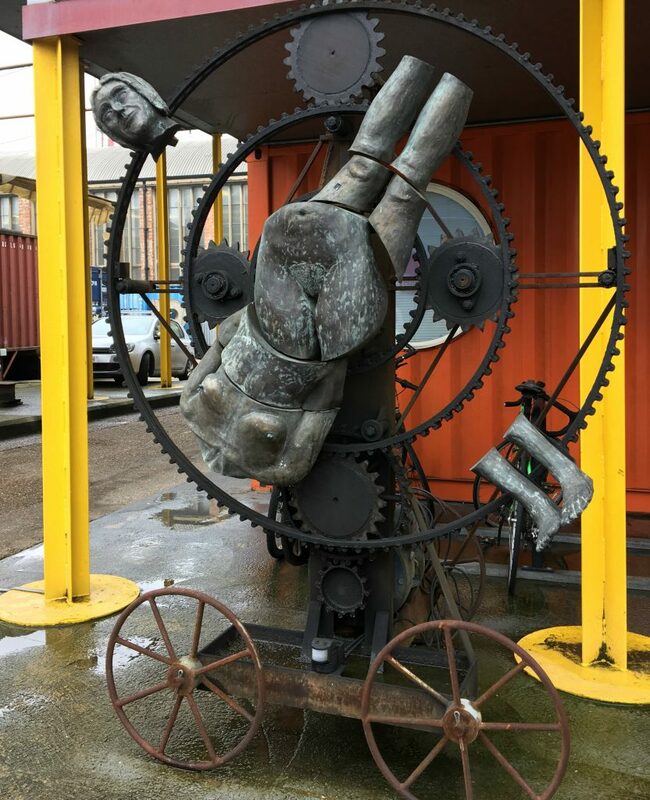 Even the site’s interpretive panels have been constructed from leftover container doors and waste metal sheets have been used for artworks. The Thames Clipper operational base is a tenant here, as is the English National Opera. ENO uses one of the large buildings to create and store sets. One of the classic Trinity House lightships has come home to a permanent mooring at Trinity Buoy Wharf. 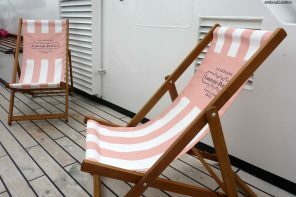 A perfect companion to the historic lighthouse. This one was built in 1938 by Phillips and Sons in their Dartmouth yard. The engines have been removed and the vessel is now a photographic studio. 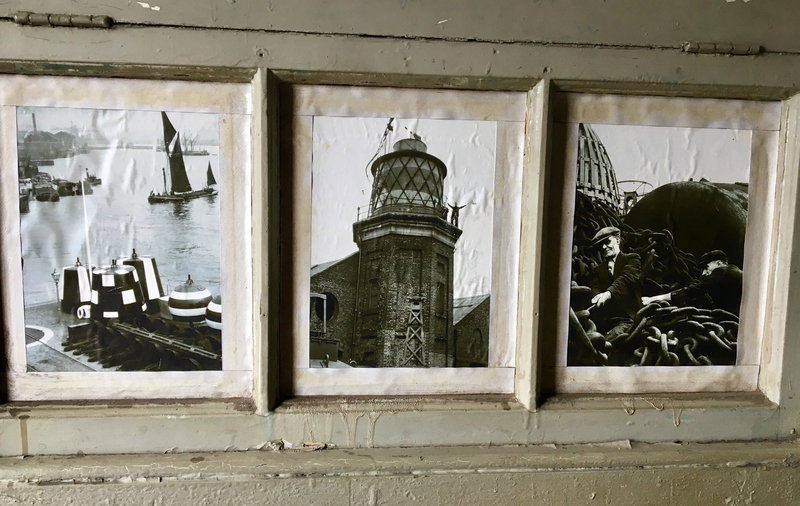 Only at Trinity Buoy Wharf would you find a genuine lightship used a photographic studio. 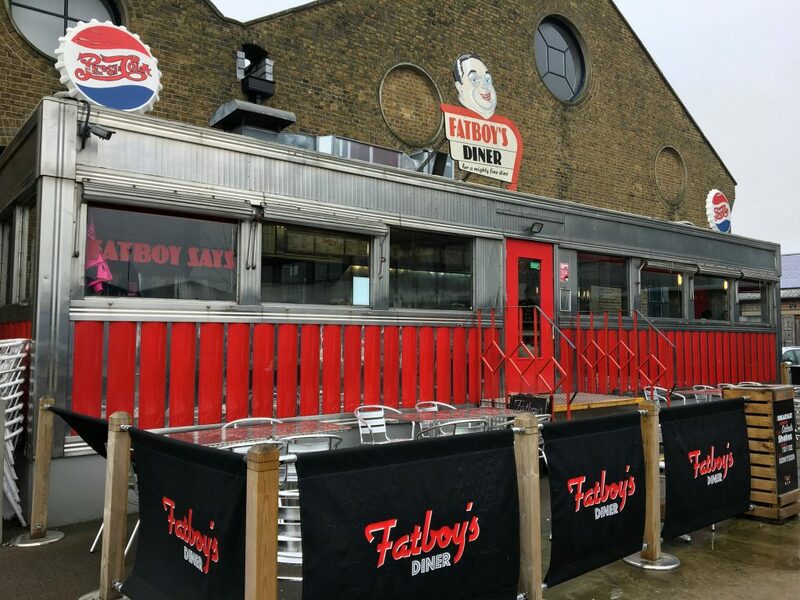 Or Fatboy’s Diner – an original all-chrome, all-plastic 1950s American Diner which serves as one of the Wharf’s cafes. (The other is Bow Creek Cafe, near the entrance). Both cafes are open seven days a week. As well as many independent artists, there’s also Colour Holographic – one of the UK’s very few specialists of its kind. 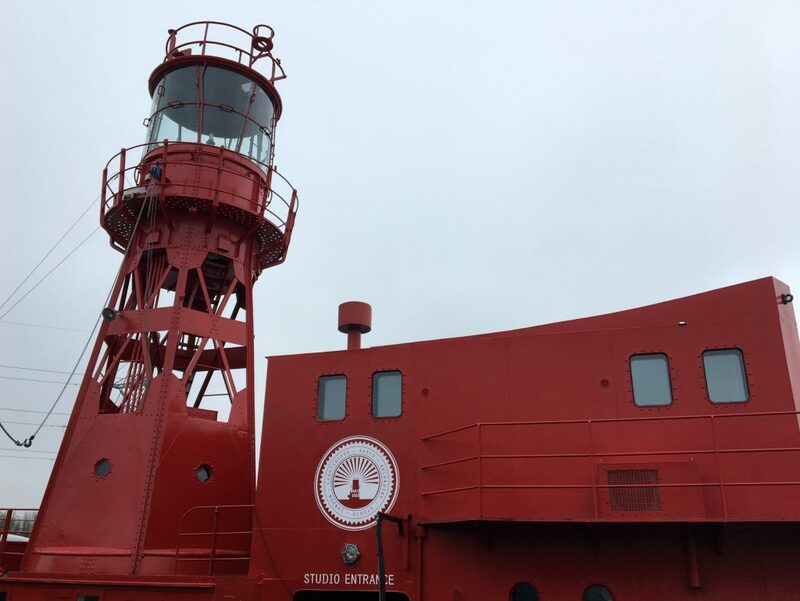 The obvious reason is to go inside London’s only Lighthouse which is open every weekend. You can see a panoramic view from the top on my Facebook Page. As well as those views across The Thames, inside is a sound installation called Long Player. 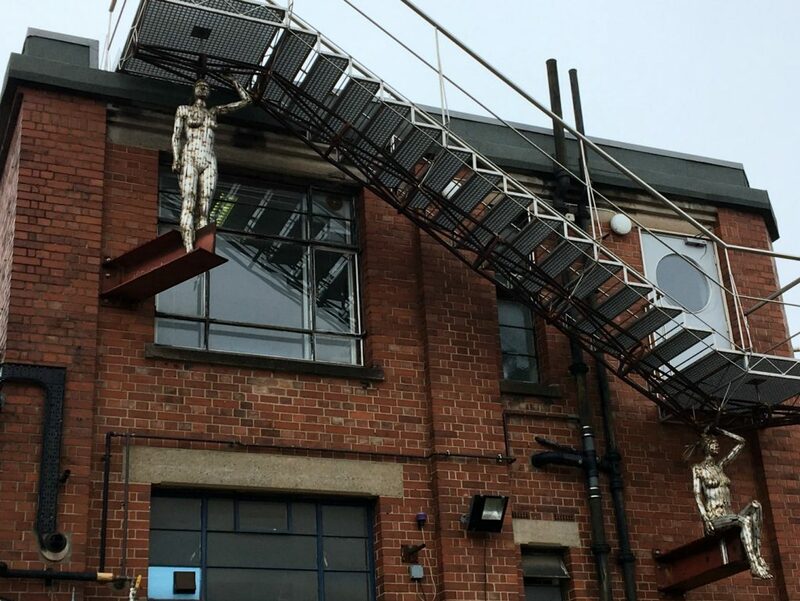 Created by Jem Finer from The Pogues with Art Angel, this is an installation conceived to celebrate the millennium. 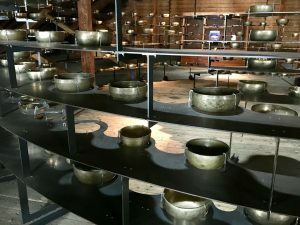 It features a twenty minute recording of the sound of Tibetan ‘singing bowls’, played continuously, and varied by a computer programme that ensures the same sequence of sounds will never be heard more than once in a thousand years. It will play continuously until its completion on 31 December 2999. If you’re feeling fit there’s Parkour Generations in the Chainstore North building. 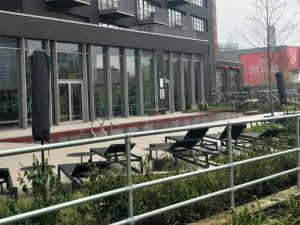 It’s the world’s largest professional parkour organisation and this was the UK’s first purpose-built indoor parkour facility. 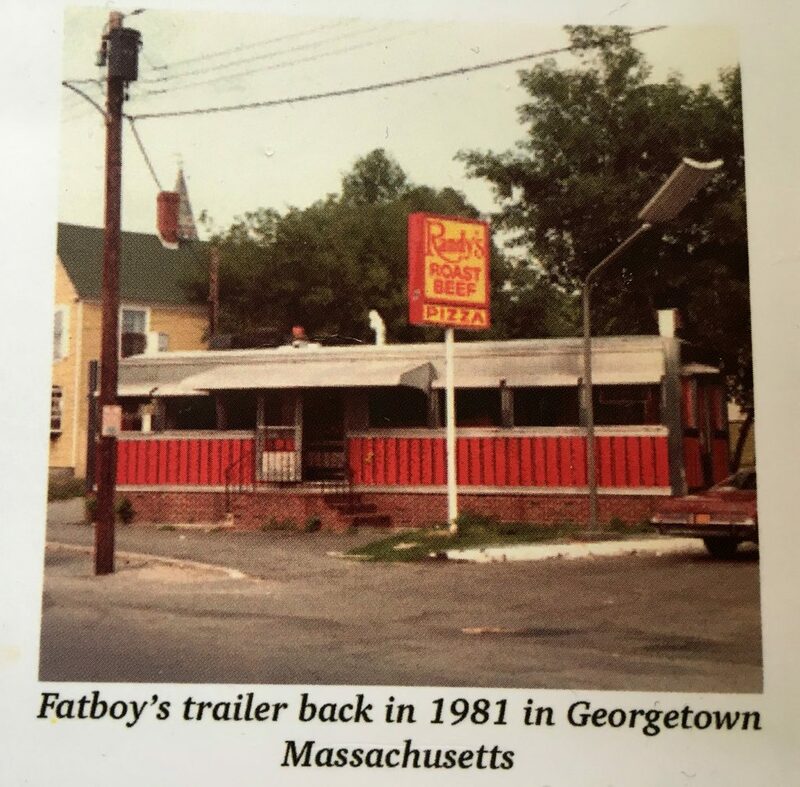 You can watch from a few tables in Fatboy’s Diner so you could drop the kids off for a class and then have a cuppa and spy on them. 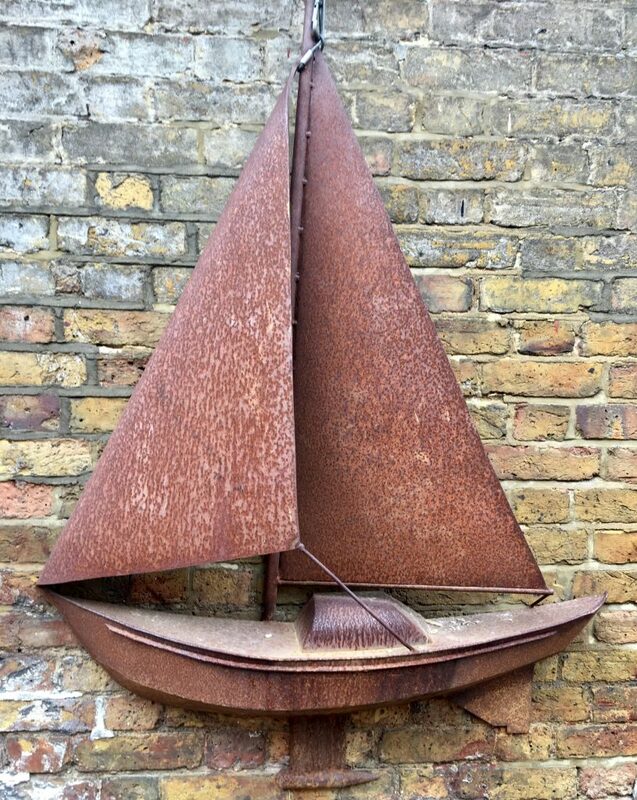 There’s plenty of public art at Trinity Buoy Wharf including kinetic metal sculptures by Andrew Baldwin. Look out for the Ben Wilson chewing gum art by the entrance and the iconic mushrooms by Christiaan Nagel. And there’s even a (considered) genuine Banksy here (but it’s not in a public access area anymore). Major films have used Trinity Buoy Wharf including scenes from the remake of Alfie starring Jude Law and Sienna Miller, The World is Not Enough with Pierce Brosnan as 007, and album cover stills for Oasis. 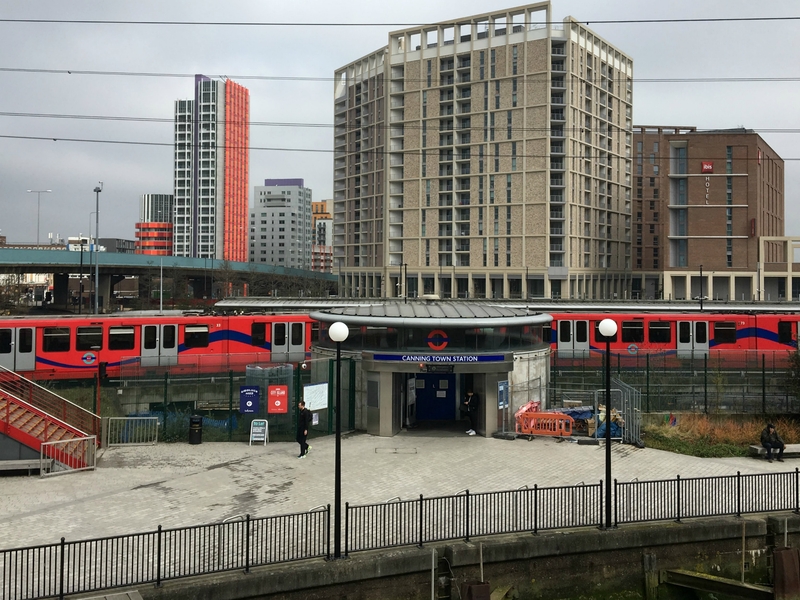 In the ten year commemorative booklet created in 2008, it felt that Trinity Buoy Wharf was only halfway through its development. The book ended with the quote “a place where creative people can put down roots and grow without disturbance”. Now ten years further on it’s time to see what has been achieved and what changes have happened. There will be twenty year celebrations in summer 2018. 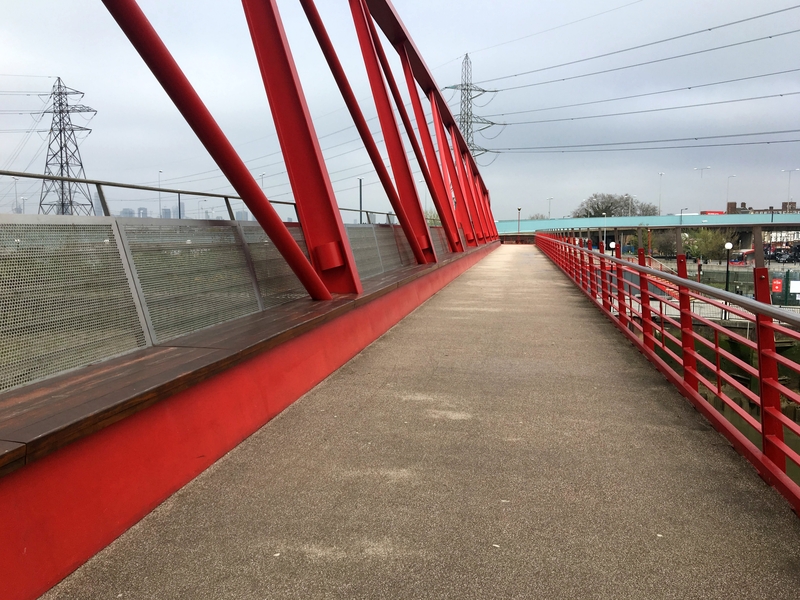 Walk for 15 minutes or catch a D3 bus from East India DLR station (it’s well signposted). 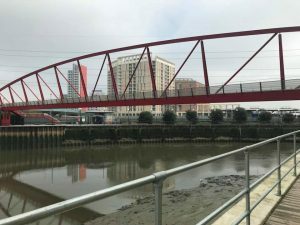 Or join the Jubilee Line at Canning Town by walking through the rather desolate but upmarket London City Island luxury apartments complex that takes you to a bridge to cross over the river Lea to the station. 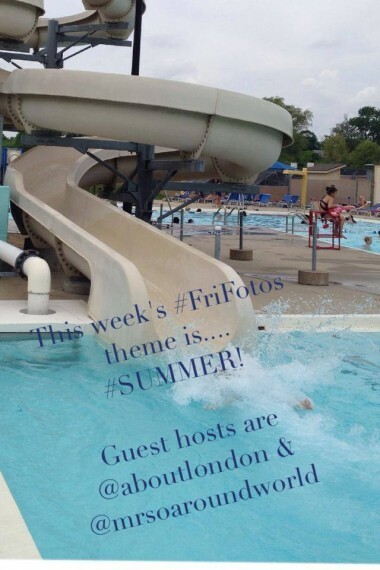 I’ve included these photos to help you know you’re in the right area. It’s likely you’ll see more security than residents by these luxury apartments. 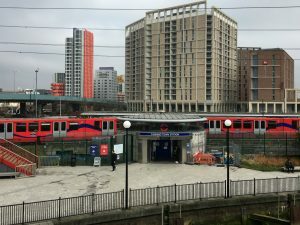 But you may pass a few people heading to and from Canning Town station. 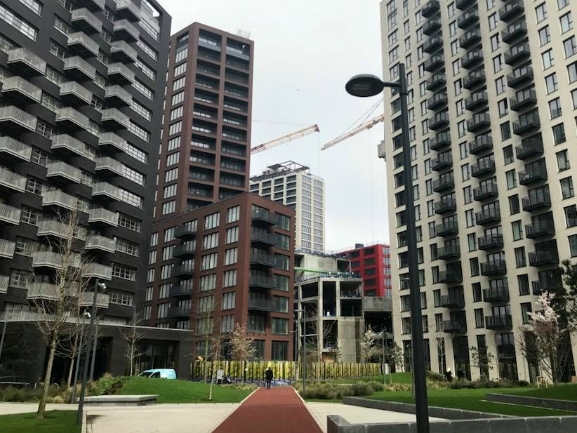 I can only imagine what the non-resident owners of the luxury flats think of the hoi polloi having access through their ‘island’.